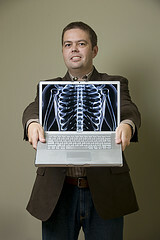 Andy Beal is an expert in online reputation management. His knowledge on the subject is vast, thoughtful and expert. For that reason it is quite appropriate he should co-author a book about (as the subtitle reads) "Monitoring and Managing Reputations Online." He and Dr. Judy Strauss succeeded quite well with their book, Radically Transparent. Understanding Your Online Reputation - which helps you understand how "The Conversation" works - and doesn't work. Monitoring, Repairing and Planning Your Online Reputation - which offers methods, tools and possible courses of action to take if your online reputation is sullied. 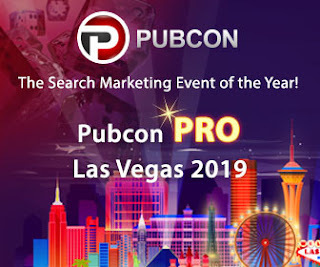 Each section is filled with real life, case study examples, personal experience and best practices to help you understand and work your reputation through various online channels. The instruction contained in the book will give you practical knowledge to help you better understand and use the tools available to tell your story and respond to comments, both good and bad, which you will find on the web. Although likely not written as a textbook (and certainly not dry and boring as text books can sometimes be), Radically Transparent should be a textbook for marketing and PR students. It is also an excellent volume to help professionals already in the field to hone their skills to keep up with changing trends in those areas. I highly recommend this book to those looking to learn about or sharpen their online marketing and PR skills. 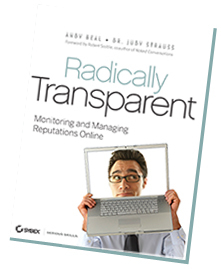 Radically Transparent by Andy Beal and Dr. Judy Strauss. (Amazon Affiliate Link). Photos courtesy of Andy Beal.